We’ve talked to many actors over the years who have been integral to a book making the leap to the big screen, and each has a different story about whether or not to use the author’s written word as gospel, or merely a skeleton for the frame that will be the movie. 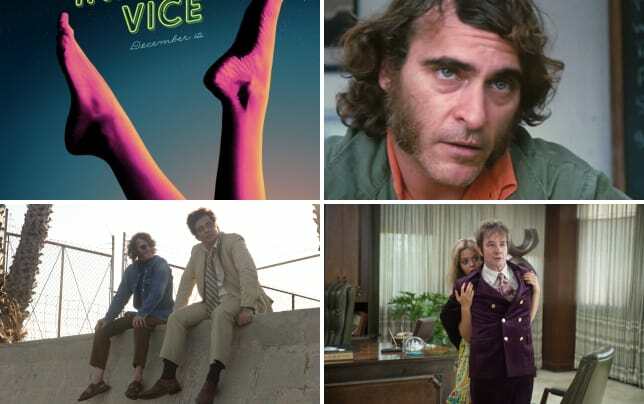 For Joaquin Phoenix, writer-director Paul Thomas Anderson gave him the Thomas Pynchon book Inherent Vice long before Phoenix even knew that there was a role for him. “I read the book first, and I thought, ‘How is he going to do this?’ The characters are hilarious and madcap and out there, and they feel very authentic. I love how flawed they are. I don’t think anybody escapes that scrutiny. With these characters, you think you know who they are, and then different things get revealed about them and there are these contradictions,” Phoenix reported. 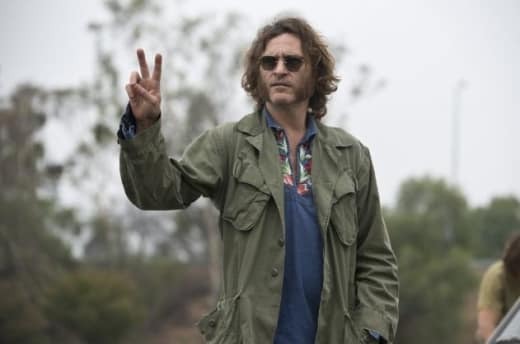 Inherent Vice is the second film in a row that Phoenix has made with Anderson after their triumphant work on The Master. Phoenix knew after witnessing The Master, that Anderson was an actor’s director in much more than the traditional meaning of understanding where they are coming from. The guy even edits with his actors in mind, all while keeping an eye on the prize that is a solid film. “You must understand, on every movie, there are scenes that are so bad, like work I did that was so bad. I remember being really (expletive) panicked with The Master. And then, by and large, he got rid of a lot of the bad stuff, and he somehow made things work,” Phoenix said. As you can see from the Inherent Vice trailer, Phoenix plays Doc, one of his most astounding characters. Doc is a private eye who is asked by his former girlfriend to look into a plot involving making her boyfriend disappear. And yes, her boyfriend is married, a real estate magnate worth hundreds of millions and his wife has a boyfriend who might be driving this whole potential criminal endeavor. The more Doc looks, the more he finds... and the more he gets in over his head. One of the best moments of the entire movie involves a scene where Martin Short is in the backseat while Phoenix and several other characters are pulled over by the police. Keep in mind, Inherent Vice takes place in the time after the Manson murders and the LAPD is instructed that any vehicle with more than two people in it could be a cult. To say that Short has a field day with the improv is a gross understatement. Phoenix relished those moments. “Even if he is not improvising dialogue, he is doing new gestures and making sounds. I remember that we were going to do the scene in the interior of a car, but we ran out of time. Then we thought we might not be able to shoot that scene. I was so looking forward to that scene with him. We finally got to shoot it a few weeks later. I think he was away, and he came back. I have never laughed so hard,” Phoenix said. Then, there’s Phoenix’s look, which is a huge landscape setting feel to the entire Inherent Vice experience. He kind of looks like Neil Young from that early 1970s era! “You’re absolutely right. It was modeled after Neil Young,” Phoenix said and smiled.